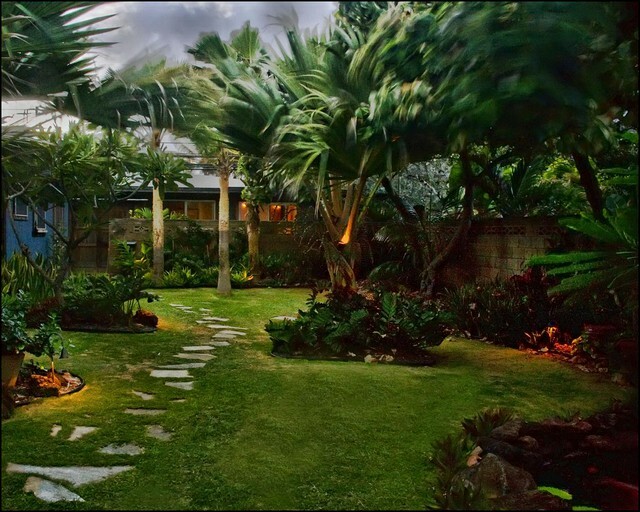 This picturesque island getaway is located on Oahu's North Shore in Laie, Hawaii, and can accommodate five guests. There are two bedrooms and one full bathroom. The first bedroom has an extra long California king-size bed and an iHome player. The second bedroom has a queen-size bed and another iHome player. In the full bathroom, guests will find a sink, a toilet, and a shower. Linens and towels are provided. 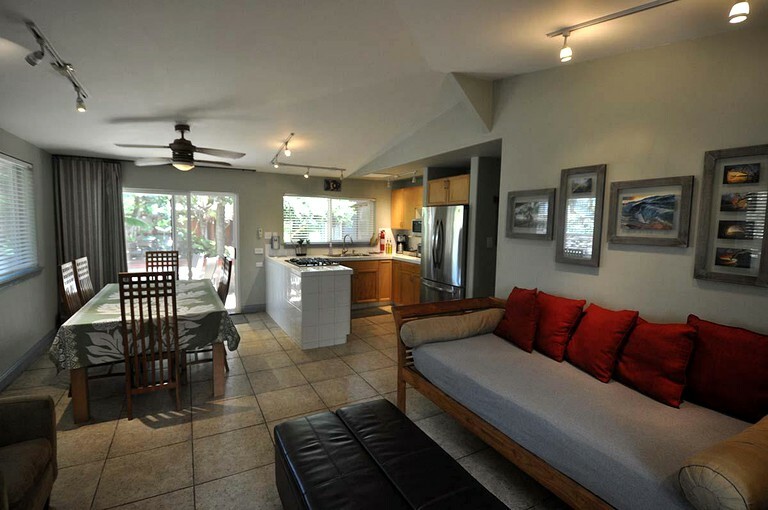 In the living room, guests will find a daybed, comfy seating, and a flat-screen, cable HDTV. 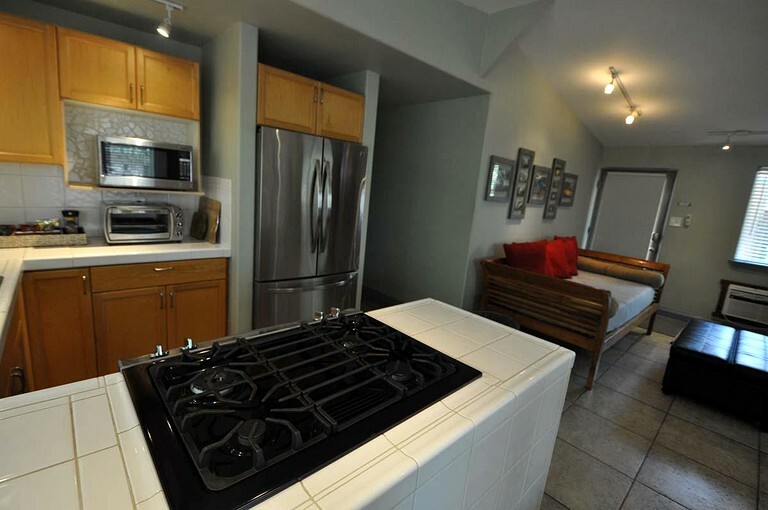 The fully equipped kitchen comes with an oven, a stove, a refrigerator, a microwave, a toaster, and a coffeemaker. Other amenities include Wi-Fi, air conditioning, ceiling fans, a washer and dryer, an iron and board, a hairdryer, and parking. This rental includes complimentary Wi-Fi and parking. 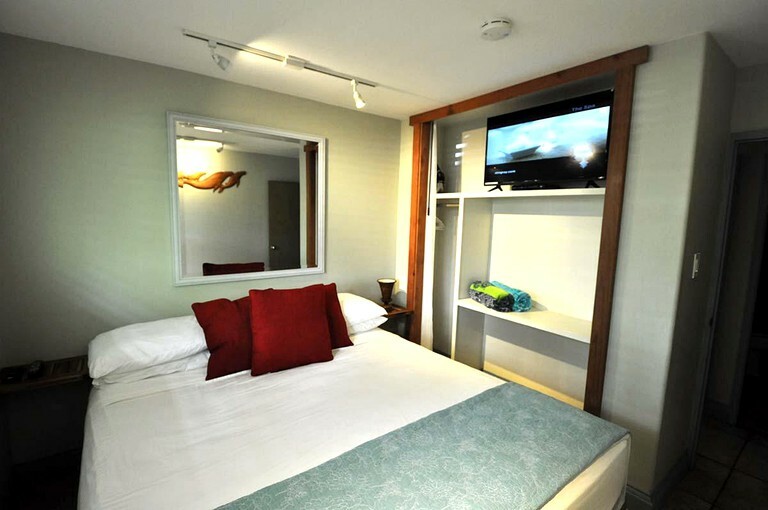 For entertainment, guests will find a flat-screen, cable HDTV. 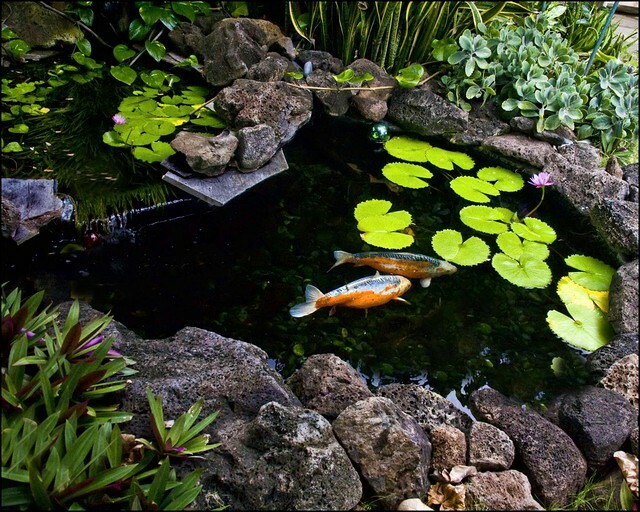 No matter the temperature outside, guests can stay cool with the air conditioning. 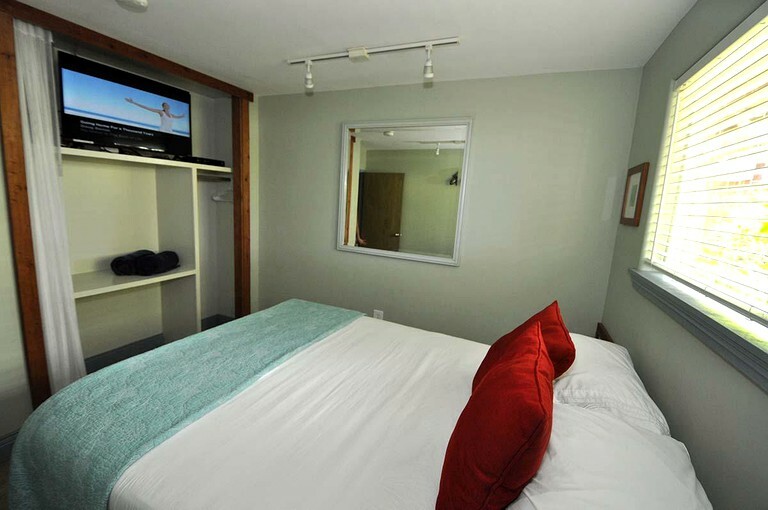 There is also a washer and dryer to keep clothes fresh during any stay. 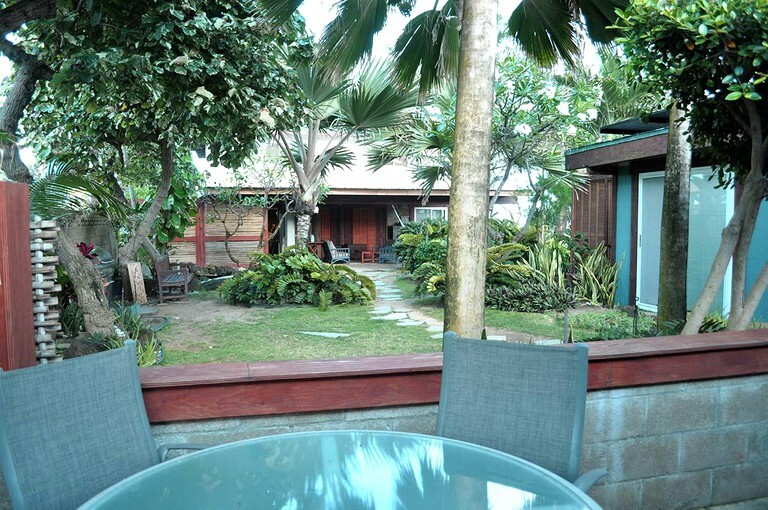 Outside, guests can have a BBQ on the grill while enjoying the fresh ocean air. 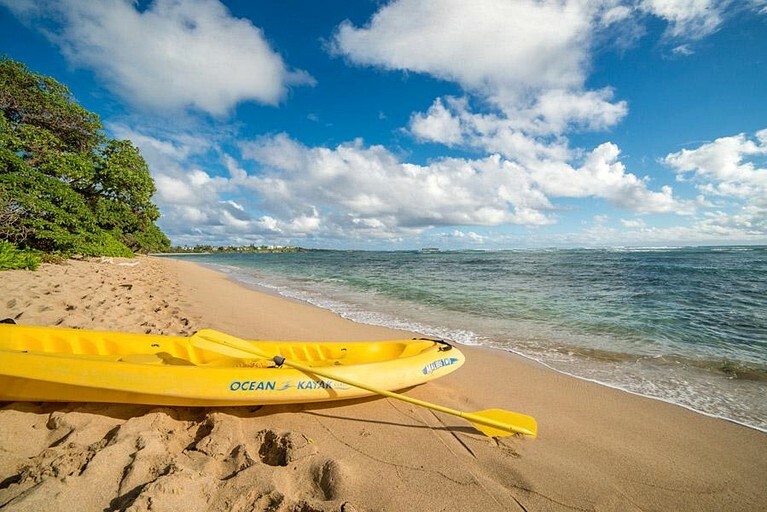 Guests have access to the beach just steps away and are welcome to borrow a two-person kayak. This site also serves a venue for weddings and events. Guests should inquire with the host for further details. Guests can rent a crib or a high chair for an additional fee. 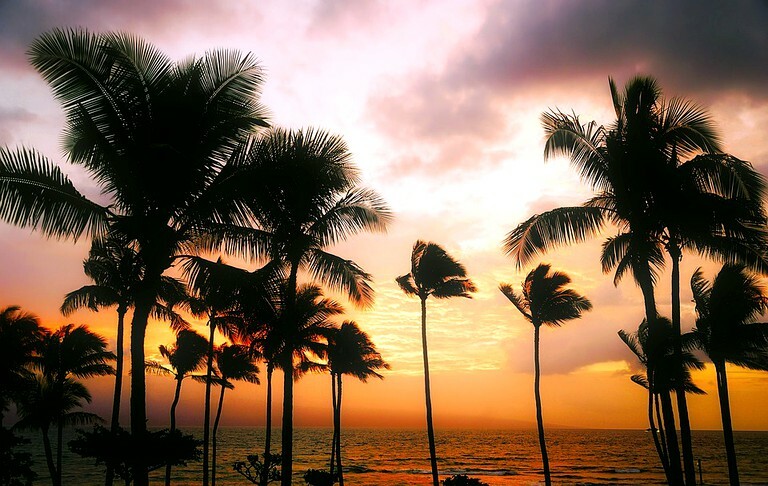 Just steps away, the North Shore beaches are ideal for snorkeling, scuba diving, swimming, fishing, kayak, surfing, and bodyboarding. Winter guests can also rent a boat and go whale watching. Gunstock Ranch offers scenic horseback riding tours and Laie Falls Trail has challenging hiking trails that are well worth the effort. Guests can hop on a bicycle for an afternoon of sightseeing. Golfing enthusiasts can head to Turtle Bay Resort Golf for a few friendly rounds. 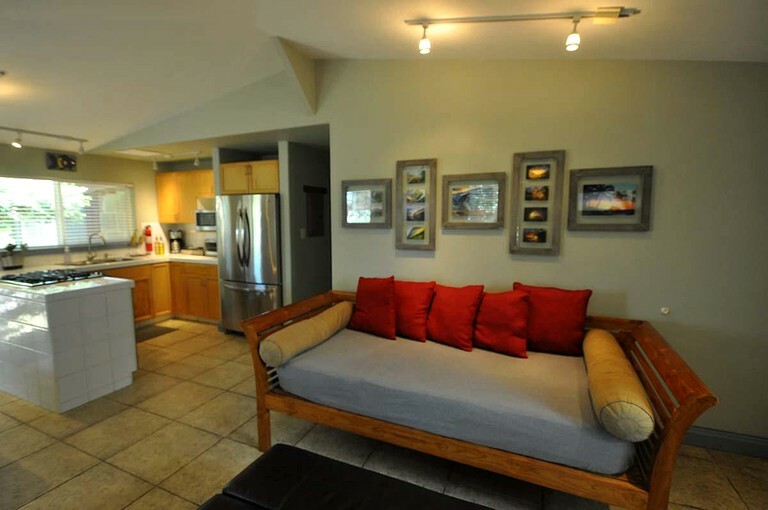 Right in Laie, guests can enjoy live entertainment, shopping, dining, and movie theaters. Pets are welcome to tag along in certain accommodations with permission in advance for an additional one-time fee per pet.